The bowls from the Nordic Kitchen series by Eva Solo reflect the basic principles of Scandinavian design in a discreet way. 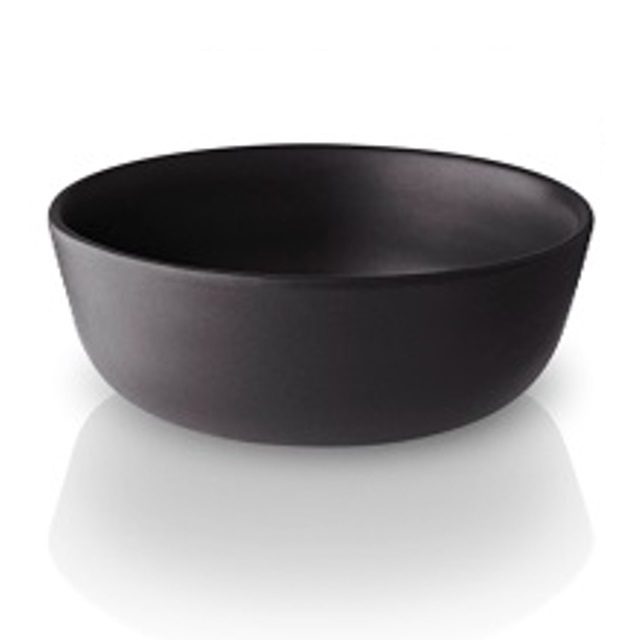 The subtly designed, black stoneware bowls feature a minimalist design language and maximum functionality. The bowls from the Nordic Kitchen series by Eva Solo can be used as attractive serving bowls, as well as a practical containers to prepare food. The stoneware from which the bowl with a flat bottom is made, is suitable for the oven, microwave, freezer and dishwasher. Alle dagen (dinsdag t.e.m. zaterdag) van 9u. tot 12u. en van 13u. 30 tot 19u.